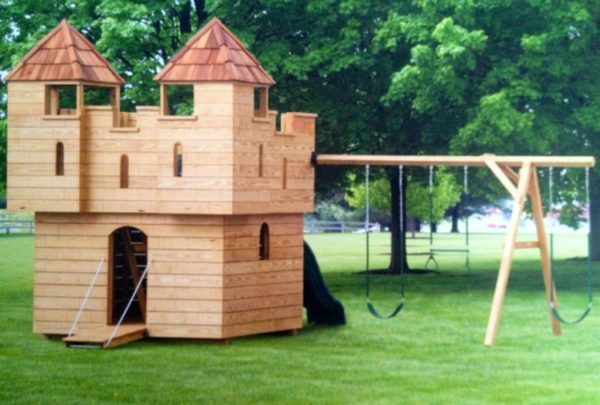 Made from 40-year tested double kiln dried pressure treated wood. 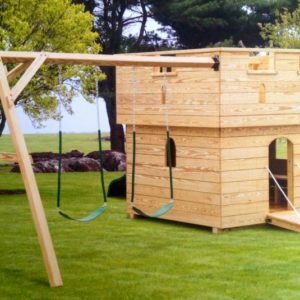 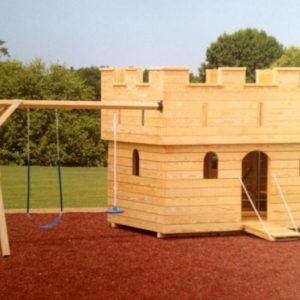 Shown is a medium tower castle 8’x10′, with slide and swings, rock wall on back side. 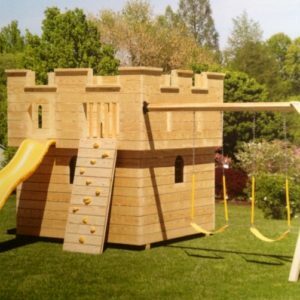 Available in large size 8’x13′.